Robert E. Brumby. Upon the death of Tom Jr., Robert E. Brumby returned from Louisiana in 1938 to become the fourth president of the Brumby Chair Co. started by his father and uncle shortly after the Civil Way. Although born in Marietta, Robert E. Brumby had spent his professional life in Franklin, Louisiana, where he practiced law after receiving his academic and law degrees from Tulane University in New Orleans and where he was a member of the Kappa Alpha fraternity. Robert Eldridge Brumby was born November 17, 1883, in the family home in Marietta. He attended Mrs. Ford's private school until public schools were established and graduated from Marietta High School in 1900. In 1912, he married Myrtle Palfrey of Franklin Louisiana, and they had three daughters. Robert Brumby was widely known throughout the South as a prominent lawyer who specialized in corporate and civil law and had extensive business affiliations in Louisiana. He was president of the Louisiana Bar Association in 1936-37 and a delegate to the American Bar Association. Robert was keenly interested in young people. He was a volunteer coach of Franklin High's track team from 1910 to 1912 and was Sunday school superintendent of the Franklin Methodist Church, from 1908 until he moved to Marietta in 1938. He was active in the Boy Scouts, having organized the first troop in Southwest Louisiana, in 1915 and served as Scout Master for seven years. He received the Silver Beaver Award, Scouting's highest honor for an adult leader. He supported YMCA and was a 32nd degree Mason. Before moving to Louisiana to attend Tulane and later practice law, Robert Brumby, as a young man, worked after school and summers in the different departments at the chair factory. He had served on the Executive Committee of the company for 16 years before returning with his family to Marietta in 1938. 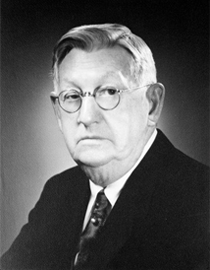 When Robert Brumby returned to Marietta as president of the Brumby Chair Co his only surviving brother, Otis A. Brumby, publisher of the Cobb County Times, was vice-president, and two nephews, Tom M. Brumby, III and Richard G. Brumby were secretary and treasurer respectively. Like many businesses, World War II drastically impacted the Brumby Chair Co. The 1941 catalog was dedicated the company's 350 employees and listed over 100 furniture items produced at the factory. By 1942, the product line was reduced to 15 items on a one page price list. One of the many products discontinued in 1942 was the famous Jumbo Rocker that had been built in Marietta since 1879. Rocker production was halted due to the inability to obtain cane from the Far East and due to severe labor shortages caused by Bell Aircraft Corp. locating in Marietta to build B-29 bombers for the war effort. Robert Brumby and his brother Otis realized at the end of World War II, Brumby Chair Co. would require new capital, modern equipment, and younger management to compete in the postwar era. Therefore, they reluctantly decided to close the factory in 1944 and sell the plant to a Cincinnati, Ohio, furniture manufacturer that lasted only five years. After the factory was sold in 1945, Robert Brumby returned to Franklin, Louisiana, and formed the firm of Brumby, Aycock, Horne, Caldwell, and Coleman. Although he closed the chair factory started by his family 70 years earlier, Robert Brumby wisely counseled the family to retain the Brumby Chair name and Brumby Rocker trademark. When he died on July 27, 1966, he was survived by his wife and three daughters. Shortly after his death, the Franklin Bar Association and the Board of the First Methodist Church of Marietta honored him with a tribute reading, "His was truly a wonderful life. He was a faithful Christian, good husband, father and lawyer, businessman and citizen."